For the past couple of years, location-based content and apps have been trumpeted as the NBT (Next Big Thing). The initial excitement and success of start-ups, such as 4square and Gowalla, seemed to herald a new era for forward-thinking digital creatives and tech superstars. I admit I was late to the party. I got an HTC Desire in Feb 2011 and almost immediately started using 4square. It was fun checking into places, adding friends, racking up points, earning badges and, eventually, gaining mayorships. It was one of the cool things about a smartphone – being able to show or use your location. On the occasions, I went to events, it was also useful to see who else was there. But it didn’t take long to find frustrations. The supposed benefits that came with mayorships were few and far between and were often linked to big chain enterprises, rather than local businesses. In other words, 4square hadn’t done a good enough marketing job to show off why they should engage with customers. Another frustration came with the explore category. I went on an errand one lunchtime and needed to find somewhere for lunch. A perfect use for Foursquare, I thought. I work in Central London, so it shouldn’t have been difficult to get recommendations. But it was. I didn’t need or want a Pret a Manger, or a Starbucks. I wanted a good old-fashioned sandwich shop, but there were no recommendations. In other words, the big brands dominated, which didn’t feel like the right use of the tool. Then there was the ease you could become mayor of somewhere. I went to a Travelodge last weekend and picked up the crown within 2 days. Pointless and rather sad. Also, if you’re a Twitter user, the 4sq updates are mildly annoying. Finally, there’s the whole points thing. I admit, I did go through a spate of number chasing, but it increasingly felt hollower and hollower. 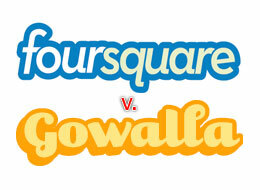 Foursquare stopped being a useful app and turned into a soulless, endless game. There will be friends reading this telling me I was one of the worst culprits, and I freely admit that’s the case, but the scales have now dropped from my eyes. So I’ve stopped using. My account is still alive, but I’ve deleted it from my phone and ipod touch to break my habit. Why haven’t I deleted the account? Because I firmly believe there’s still a way of integrating location into a wider, mass-appeal application. At the moment, though, Foursquare isn’t it. It may need to partner up and allow its technology to be used in conjunction with someone else with a better idea. If I knew, I’d be on my way to being a millionaire.